A leaky gas tanker exploded near Los Angeles on Sunday, March 17, leaving two people injured. A cloud of smoke appeared into the air; it was seen for miles. The explosion that left the gas tanker burst into flame unfolded on Sunday morning in Florence. According to the photos obtained from the accident, a nearby home blackened from flames and smoke a few hours later. Two injured people were rushed to the hospital and there were no deaths. Police said in a statement that the explosion sent a manhole cover flying into the air. Flames reportedly were shooting out of the storm drain. Firefighters were informed about the smell of gas in the air in the morning. They found a 9,000-gallon tanker leaking after arriving at the scene. 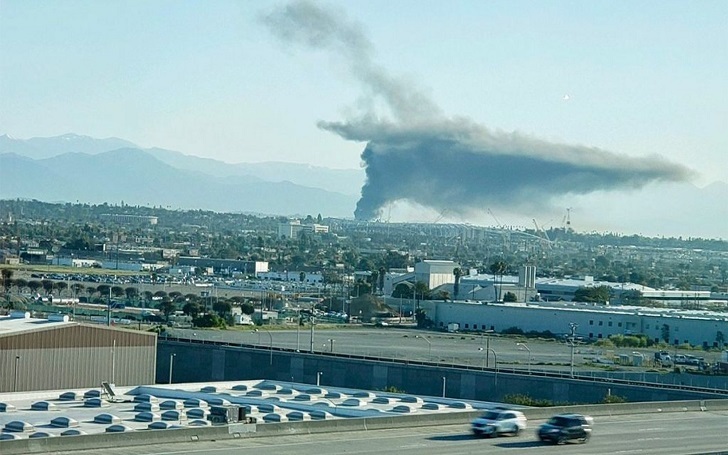 According to the LAPD (Los Angeles Police Department), the gas was connected with an ignition source that caused the blast. The explosion was so big that it forced firefighters to leave the nearby houses which were open to the flames. Firefighter Nicolas Prange told media, "Companies put water on the fire, trying to protect two buildings that were exposed to the flames." Nearly 72 firefighters played roles to put out the blaze after almost two hours. The tanker was transformed into a heap of scrap metal after being on fire.